Forget about those regular corporate gifts such as key chains, pens, coffee mugs and others – it’s time to take corporate giveaways to a whole new level! 3D2GO offers a limitless range of customized items. And not just any item you can find in the market. 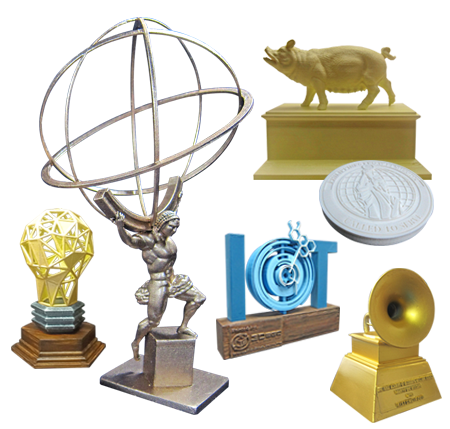 We provide unique and high-quality corporate gifting options such as 3D printed personalized miniatures or scale models, awesome trophies & plaques, sculptures, table coasters, lamps, medallions, and a lot more. Anything our client needs, we create them. The only limit is your imagination. Also, we do custom branding on every item. Almost every corporate giveaway item we produce can be branded with your company's logo and name. Contact us today to learn more about this service.